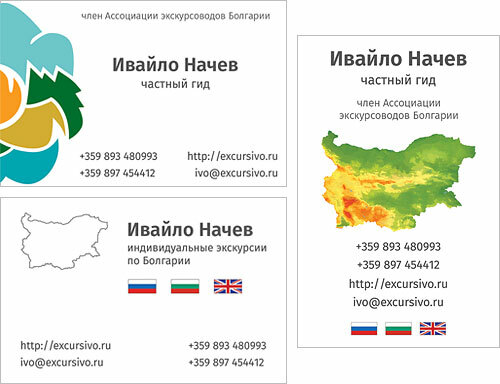 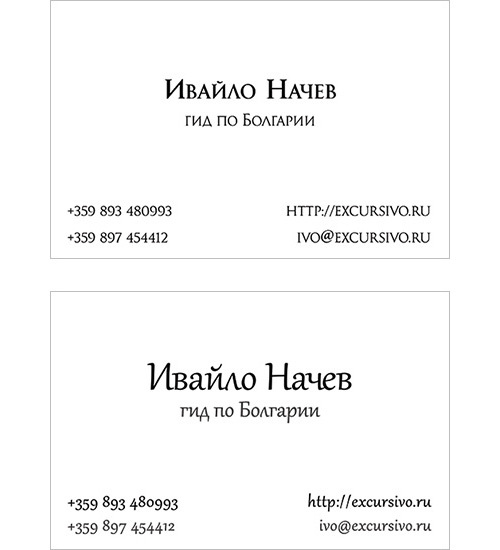 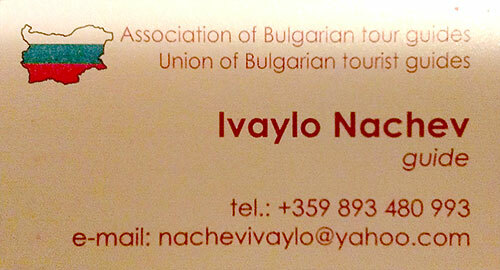 Business card for one of the best Bulgarian guides. 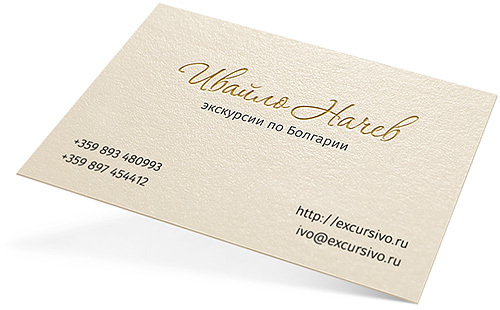 Thick paper with embossing. 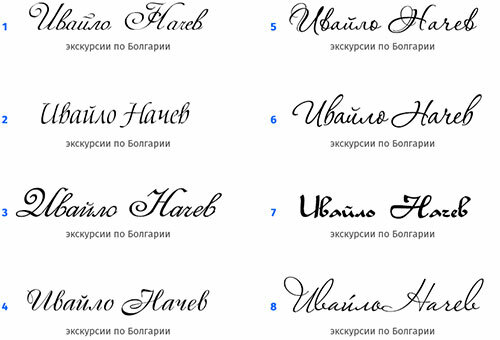 The client likes 6 and 7 fonts. 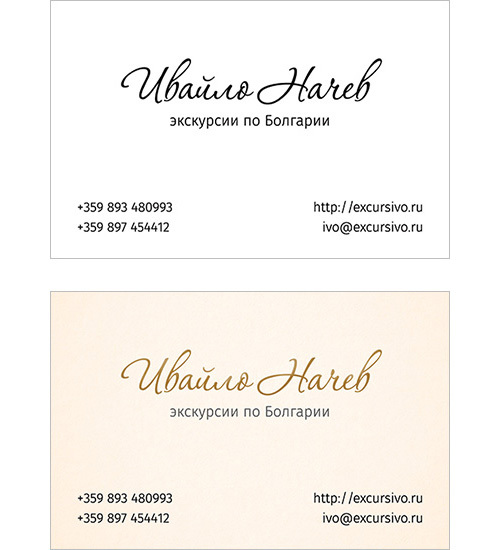 But when we look closer, we find out that cyrillic letter “ч” in 7-th variant doesn’t look very clear and might be misread, so we decide not to use this font.